Outdoor lighting can highlight your home’s architecture, landscaping, and provide added safety. 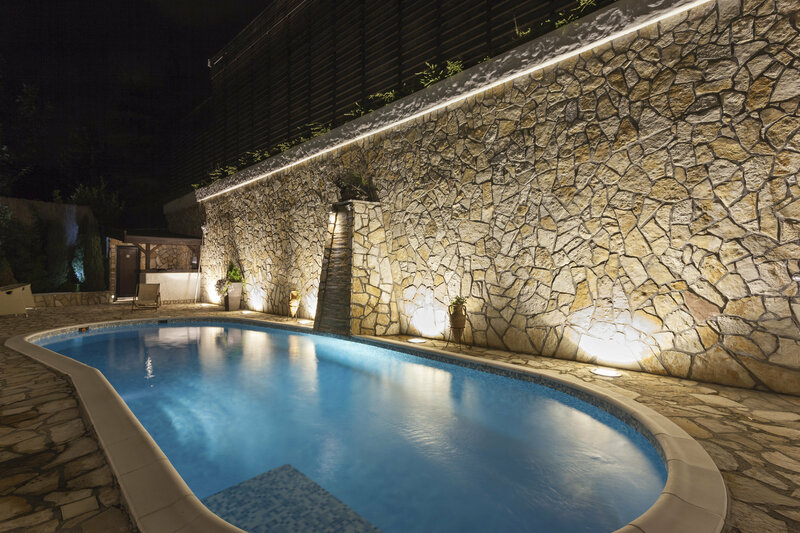 Melissa Davidson from leading lighting supplier, The Lighting Warehouse, shares some tips for those considering lighting up their home’s outdoor surrounds. Plan a lighting layout: Walk around your home and identify the areas that you would like to illuminate. It is a good idea to use a torch to see how the light will interplay with your home’s architectural and landscaping features. It is important to make a note of areas that you would use socially, as well as those very dark spots that compromise your safety and security. Install it in layers: Any good lighting design worth its salt will include different layers of light that provide the three different types of lighting, namely ambient, task and accent lighting. As its name implies, ambient lighting provides general overall lighting, and sets the mood or ambience of the space being lit. Task lighting is designed for globes. Those spaces where work needs to be done – as such it needs to be bright enough so that you can see what you are doing. Accent lighting is decorative, and serves to highlight various features and interplay with the ambient lighting to reinforce a particular style. Choose energy efficient options: Spending a little extra from the onset by investing in energy-saving globes will end up saving you a lot of money in the long run – both on your lighting bills, as well as the cost of replacing the bulbs themselves. Choosing LED globes for example, can provide energy savings of up to 90% when compared to incandescent globes. They also boast a very long lifespan of between 20 000 and 30 000 hours, which works out to about 10 years of average nightly use. Stay in control: Why not consider motion-activated sensors, daynight-activated sensors, and time switches. This all aids with saving on your lighting bill. Consider your neighbours: Be considerate and make sure that your lighting design does not encroach onto your neighbour’s property. It can be very annoying when your neighbour’s outdoor lights shine directly into your living space for example. So, when planning your design, for those installations that are close to your neighbours, select light that shines downwards or position the lights so that they shine solely into your property. Choose weather-resistant fixtures: For optimum longevity, make sure that the fittings you choose are weather-resistant. Outdoor fixtures should be non-corrosive and UV-resistant. Consider proportion: The ideal size of an outdoor light fitting needs to strike a balance between proportion and size. For example, a single light fitting for the front entrance of your home should measure one-third of the front door’s height, so that it is in proportion and provides visual balance, as well as being noticeable from the driveway. However, if there are two lights at the entrance for example, each light should measure only one-quarter the size of the front door. Don’t over-do it: Too much light can create light pollution and distract guests and neighbors. 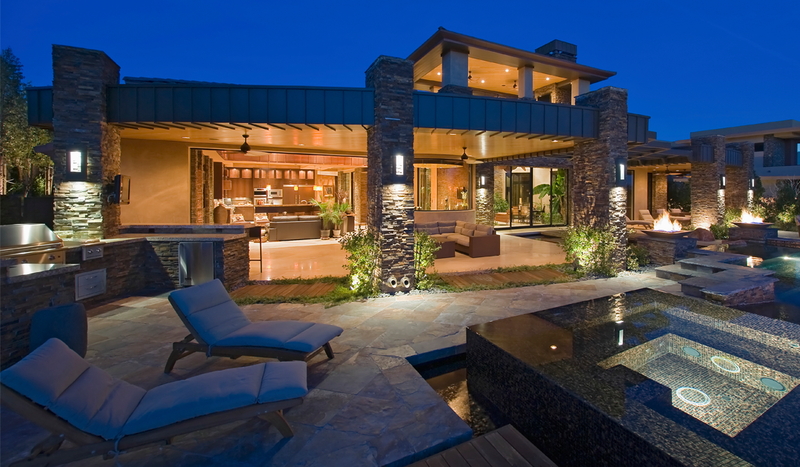 Rather aim for a subtle, well-planned landscape lighting scene that accentuates your landscaping, features and home. 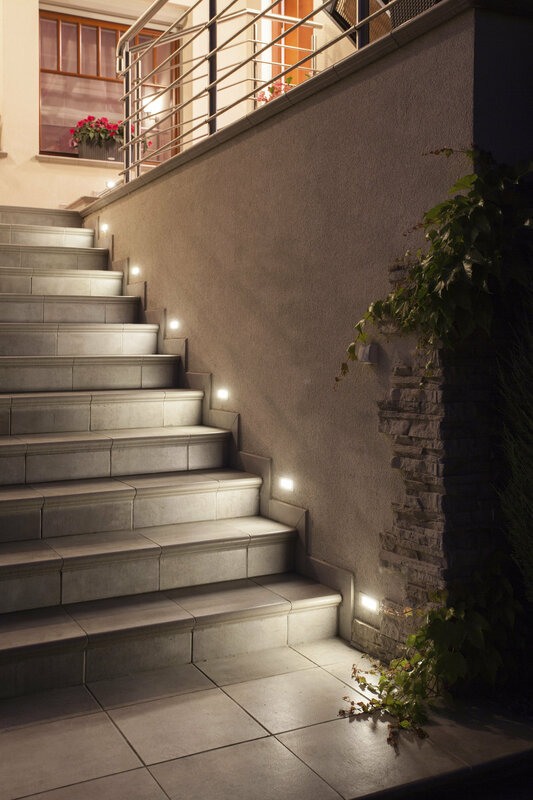 For example, plan your pathways using low-voltage, down-facing lights to provide a nicely lit pathway, without glare, to guide you and guests along paths. Or, use spotlights to feature trees and other large features on your property, or to wash your garden walls with light to create dramatic light-and-shadow features. Safety first: It is essential to remember that by law, all outdoor lighting needs to be fully sealed against the elements to protect it from rain, irrigation and splashes. Water and electricity can be a lethal combination, so it is imperative that a professional electrician installs them, and that the fittings you choose are IP-rated for outdoor use. IP ratings are expressed as “IP” followed by two numbers that define the degree of protection they offer. The first digit (Foreign Bodies Protection i.e. “dirt”) shows the extent to which the equipment is protected against particles (i.e. “grime”). The second digit (Water Protection) indicates the extent of protection against water entering the fixture. Outdoor light fittings should have a minimum IP rating of at least IP44. Nice article! 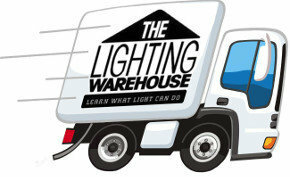 I am planning to set up the outdoor lighting and this article is very helpful for me. Thanks for the great article.